You know how your mum always told you that, when it comes to giving gifts, ‘it’s the thought that counts’? Well, it turns out she was right (obviously..!) so when it comes to buying a gift especially for your mum, we’ve got you covered with our Mothers Day Gift Guide. Whether she’s mum, madre, mamma or 沉默, the language of motherhood is universal. Say ‘Thank you, Mum!’ for always being there for you, for being wise and kind and lovely, even when you’re not. For cheering you up, for making you feel special and holding your hand when you need it most. No matter how old you are, you’re never too old to need your mum! A mum, and then some! Thank her for all that she does with a symbol of your eternal love. Our India Necklace is simple, subtle and oh-so-sweet, this silver open heart necklace is ideal as a gift on its own or paired in ‘Mummy & Me set’. 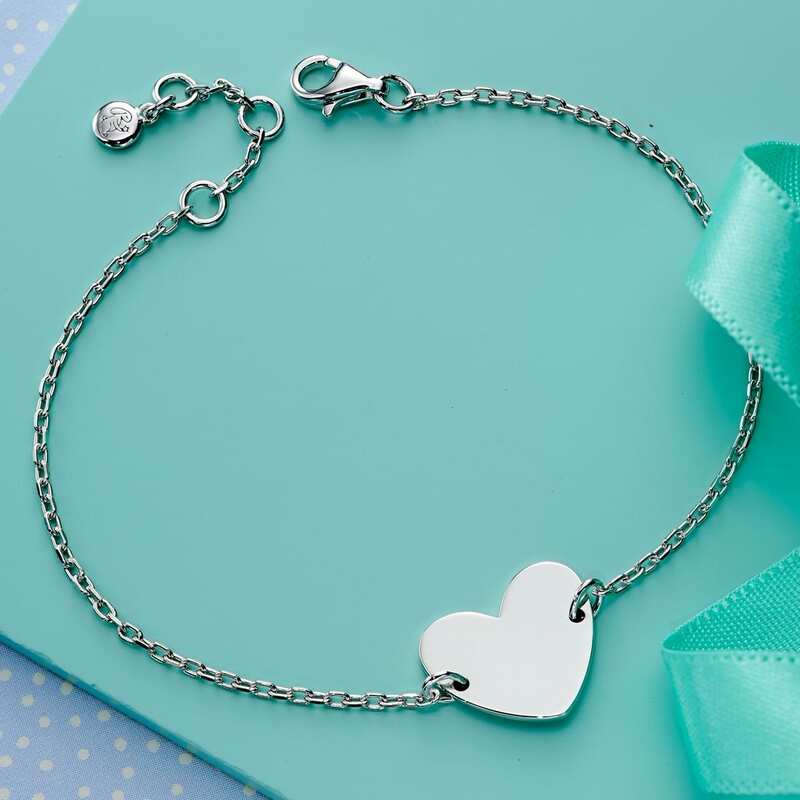 Our Nancy – Adults Silver Heart Bracelet is for a love that lasts a lifetime. Perfect for engraving with a special name or date this adults silver heart bracelet is the perfect gift for Mum. Even better why not celebrate the bond between mother and child and pair it up with our smaller version Anna. Create a unique meaningful jewellery set or just have fun with Mini Me. Whether she’s a mum of boys, girls, or both, our Tori Necklace is a simple but playful way to celebrate your family! Choose to engrave up to 8 characters, perhaps a name or date to celebrate their birth!